San Francisco (Obama.net)- Talk about oil rig explosions in the Gulf of Mexico has been commonplace since April. The people of the United States of America, specifically the Gulf Region, have grown tired of hearing about the BP oil spill that has cost them dearly in the terms of economy, jobs, and the safety of their environment. Unfortunately, oil rig explosions in the Gulf of Mexico are back in the news headlines, but now there’s a new explosion. About one hundred miles from Louisiana in the Gulf of Mexico, an oil well caught fire and set the entire oil and gas production platform in flames. The thirteen workers on the vessel were left with no choice other than jumping off of the platform in an effort to save their own lives. 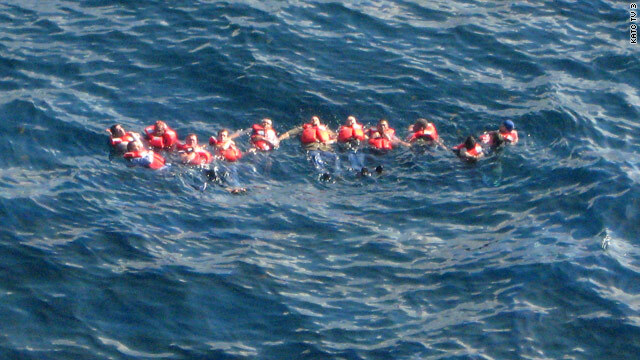 All of the crew members were found on a raft in the Gulf, waiting for rescue workers to reach them. Mariner Energy, the owners of the Vermilion Oil Rig 380 that set on fire, told the media that none of the workers were injured or hurt. Mariner Energy is claiming that there was no explosion that led to the fire. Instead, the company is reporting that the fire began in one of the seven wells on the vessel. The Coast Guard is reporting a hydrocarbon spill of about one hundred feet wide and one mile long. Mariner Energy is disputing the claim, saying that when they looked at the site, there was no spill. Mariner Energy is reporting that it has shut off all seven wells and that the fire that is still burning is from the fuel that the vessel has in its storage compartment. The incident is highly reminiscent of the BP oil spill. In that explosion, eleven workers lost their lives and arguably the worst catastrophe pertaining to the environment in United States history ensued. This incident could have been averted though. President Barack Obama tried to get a moratorium on the drilling in deep waters for six months, but the measure was blocked. Had the measure gone through as Obama highly urged, the latest disaster would not have occurred. Mariner Energy is one of the smaller oil companies and has done what it can to act responsibly from the get-go of this situation, having learned from the errors of BP’s response to the April spill that led to much criticism of the British company.